Thomas F. Dixon, Jr. (January 11, 1864 – April 3, 1946) was a Southern Baptist minister, playwright, lecturer, North Carolina state legislator, lawyer, and author, perhaps best known for writing The Clansman — which was to become the inspiration for D. W. Griffith's film, The Birth of a Nation (1915). 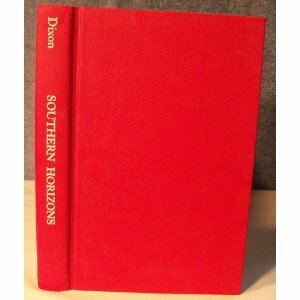 Dixon viewed Southern black America with contempt. He and his family had been slave owners. Later in his life it is possible to view personalized yet softer contradictory statements in his writings regarding African-Americans. His "Trilogy of Reconstruction" consisted of The Leopard's Spots, The Clansman (1905), and The Traitor (1907). In these best-selling novels, which presented highly imaginative fiction as hard historical fact, Dixon used historical romance to present Negroes as inferior to whites and to glorify the antebellum American South. While he opposed slavery, he believed in racial segregation. Dixon also wrote about the evils of socialism, particularly expressed in his trilogy: The One Woman (1903), Comrades (1909), and The Root of Evil (1911). In 1919, the book Comrades was made into a motion picture titled Bolshevism on Trial. In the play, The Sins of the Father, which was produced in 1910-11, Dixon himself played the leading role. His photoplay, The Birth of a Nation, appeared in 1915. Thomas Dixon's writings are often quoted by White Nationalist organizations today. Dixon was the author of 22 novels; additionally, he wrote many plays, sermons, and works of nonfiction. He also wrote some film scripts. His writing mostly centered around three major themes: (1) the need for racial purity; (2) the evils of socialism; and (3) the necessity of a stable family with a traditional role for the wife/mother. A common theme found in his novels is violence against white woman, mostly, though not always by a Southern black man. These crimes are almost always avenged through the course of the story, the source of which most likely stems from a belief of Dixon's that his mother was sexually abused as a child. He wrote his last novel, The Flaming Sword, in 1939.